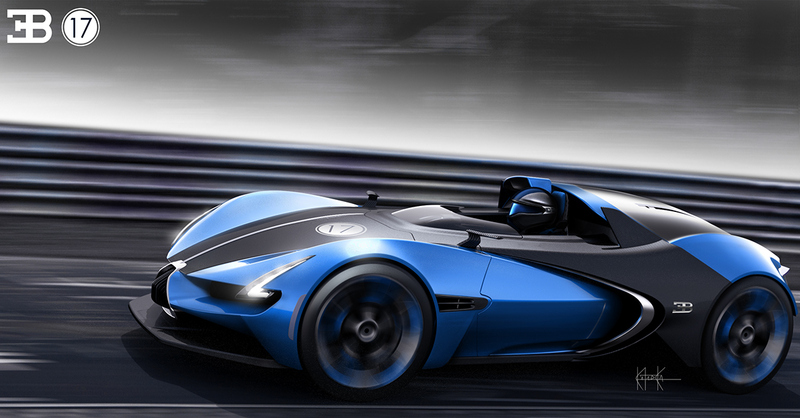 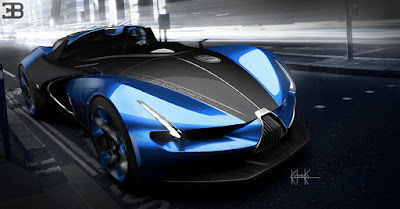 Is this the latest form of Bugatti Roadster? 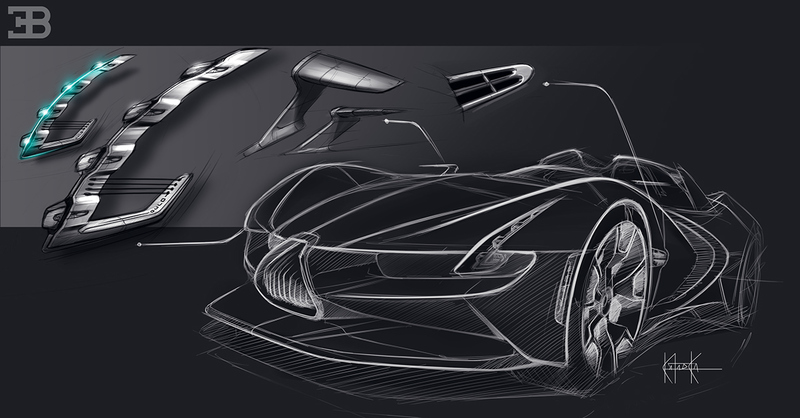 Not to mention the news about the phenomenal Bugatti Chiron ended, and already back out a spectacular rendering leaning into a Bugatti with unusual format. This is a Bugatti Roadster. 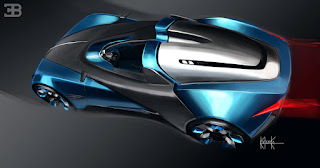 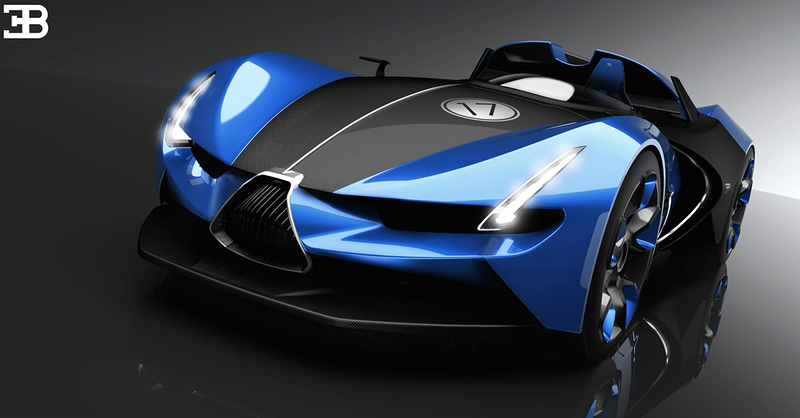 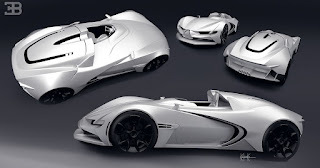 A supercar which is the rendering images of the famous Brazilian designer, Guillerme Kataoka. It has not got an official name, and by its creator only given a formal name as the 'Bugatti Roadster' in accordance to its format. 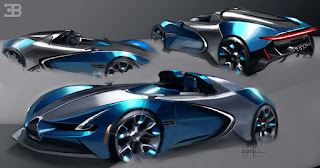 This car took the basic of Bugatti Chiron which is planned to be marketed, with an aggressive appearance, the headlamp of Bugatti Roadster sharply from the end of the car's nose up to the top. The car's hood itself riven with white stripes like to give a racing identity to the Bugatti Roadster, which can also be seen from its single-seater composition (reminiscent of Lamborghini Egoista). 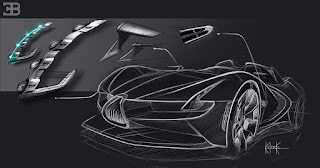 The Bugatti congenital grille does look different, the shape of triangles, the grille of Bugatti Roadster more like Darth Vader mask and squeezed by dual air-flow system of Guillerme Kataoka default.